T2 Enviro provides a complete range of commercial waste solutions. 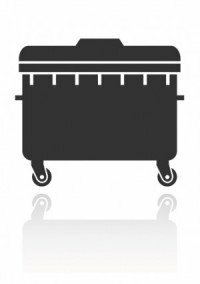 We are experts in managing large waste contracts and saving small businesses money. You will love our friendly, flexible contracts. We provide a comprehensive range of waste management brokerage services for businesses. 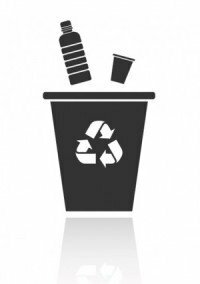 We work with a range of local contractors to ensure we can provide a total waste management package. Our pricing is very competitive and our service is unbeatable. 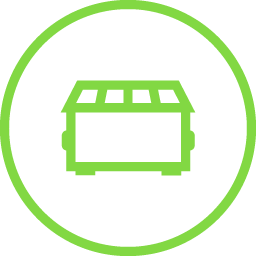 Ask us for a price comparison to compare with your existing waste management service provider. As part of our commitment to provide a total package we can also provide commercial skip bins, waste consultancy and business recycling services. Our modern and efficient waste management solutions are helping businesses to turn rubbish into a resource. Thanks to our competitive pricing and exceptional customer service, we are one of Australia’s fastest growing waste management brokers. 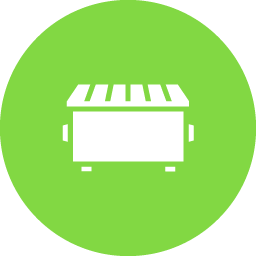 Whether you have one site or multiple locations we would be delighted to help you. If you are looking to reduce your business waste management costs please get in touch. We work with many different, local contractors throughout Australia so that we have access to some of the most modern and innovative total waste management solutions available today. Our coverage includes Brisbane, Melbourne, Sydney, Adelaide, Perth, Darwin, Cairns, Newcastle, Geelong, Ballarat, Sunshine Coast and The Gold Coast. We can also supply services in some other regional areas so please don’t hesitate to contact us if you need assistance or if you are looking for national waste management services. We also provide Sunshine Coast commercial cleaning services. Our company was previously doing very little recycling and we were determined that as a group we would reduce the amount of garbage we were sending to landfill. After careful consideration we chose T2 to manage our waste services. They have increased our environmental performance and they have also reduced our costs considerably at the same time. We work as a partnership with local contractors of all sizes to find better solutions and to reduce our clients waste management costs. Our focus is on reducing waste at source, increasing resource recovery and ultimately reducing the amount of waste being sent to landfill. Our future goal is to cut out the need for landfill altogether. In a bid to reduce our impact on the environment T2 will always aim to turn waste into a positive resource. This is all working towards T2’s aim of helping businesses achieve “zero waste to landfill”. Our primary aim is to reduce waste management costs for all of our business clients. This is achieved by encouraging recycling, collection minimization, transport efficiency and a centralized system of contractors. By advising on how to reduce, reuse and recycle, landfill is minimized and services are streamlined. Our bulk purchasing power results in unbeatable prices throughout Australia. We provide you with one point of contact, one invoice and an experienced account manager. 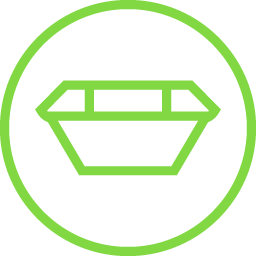 Whether you need effective commercial skip bin services, audits or consultancy,T2 Enviro has the answer. Wherever you may be in Australia, we will always find you an effective solution. Whatever waste management issues you may be facing, you can count on T2 Environmental to provide the right solution. We will always recommend the most appropriate collection system for your situation. With years of experience in the waste management industry our specialists will be able to advise you on what services will work best for your business. With our centralised system, industry expertise and commitment to environmental sustainability, we are able to manage your commercial waste management services in the most efficient way possible. Our services are available for small to medium businesses as well as larger national companies. Small companies benefit from the same buying power as our bigger customers. Our larger clients benefit from our national coverage and single point of contact. Wherever you are located we aim to beat any competitor price and guarantee to impress you with our friendly customer service. Reducing, reusing and recycling can make a significant difference to your environmental impact, not to mention your bottom line. We believe that unwanted materials should be seen as a resource. Our commitment to reduce the amount of waste going to landfill is achieved through providing proper education and business waste management advice. If you can reduce, reuse and recycle, you will save money and decrease your carbon footprint. Numerous studies have shown that environmentally sustainable companies are more profitable and productive. Find ways to reduce (or avoid altogether) the types of rubbish your business accumulates, by considering how you acquire goods or services. Can you make any changes to operations or processes, or decrease the amount of materials you use day-to-day? Your dedicated account manager from T2 will be able to closely analyse your operations to identify areas where you can avoid or reduce the generation of garbage. Reusing packaging, textiles and other materials whenever you can will have a significant impact on the amount of garbage your business generates. Can you use your unwanted materials again, or is there another company that can use the leftovers you produce? Our consultants will help you find proactive ways to reuse materials so that you can reduce your overall spending. Business recycling will save you money in rising landfill costs and go a long way towards helping preserve the environment. Look for materials that can be targeted to recycle and choose products that have already been recycled to continue contributing to efforts. We will help you identify additional recycling options to enable your facility to reach your zero waste to landfill goal. Contact T2 Enviro on 1300 578707 for an integrated and highly effective waste management service that will improve your sustainability and help you generate income from your valuable resources.